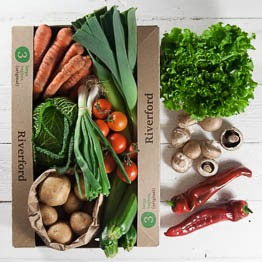 Riverford Veg Boxes are a great way to make sure that you have plenty of seasonal vegetables on a weekly basis and at the moment they are running a Veg Box for School Scheme. I previously reviewed one of Riverford's Recipe Boxes here which you may find interesting and the food was really good. To register for the scheme, the school would need to fill out the registration form online, Riverford would then call the school with a unique ID number. The school can then send out details of the scheme to parents and for everyone that signs up £15 will be donated to your school. What better way to introduce children to a wide variety of seasonal vegetables and the large portion sizes mean you will have enough for several recipes. The large Veg Box I received costs £17.25 and can be order on a one off basis or repeated weekly, fortnightly or even monthly. I received this Veg Box free of charge for the purpose of this review but the opinion is my own. Such a great idea for schools. I love getting my weekly veg box. Great idea. I can't find the details on their website as I'd like to send it to our school. 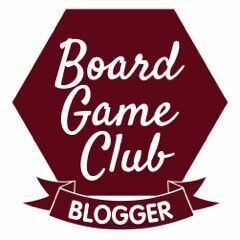 This is a very smart idea. Thanks for sharing this. Healthy and cool concept! More of this soon, I hope.